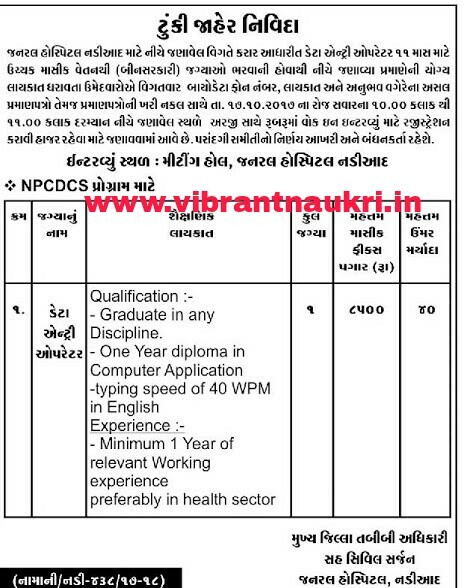 Nadiad General Hospital Recruitment 2017 | Data Entry Operator Post: General Hospital, Nadiad has published Recruitment notifications for below mentioned Posts 2017. More information please read below mention details carefully. • Graduate in any Discipline. Walk-in-Interview: 17-10-2017 at 10:00 a.m.